KarateStrike uses “real world” movements to challenge and teach the participant. Tae Bo will force the same movements in a repetitive and mundane format. For example, one routine might encompass 4 knees, 4 punches repeated 8 times. KarateStrike movements will involve 8 to 16 individual moves that build a combination that is “real world”. No repetitive movements to bore the participant. And, Karate Strike Certified Instructors change the combinations each week to maintain a high level of motivation & interest. Where Do Karate Strike Sequences & Combinations Come From? … (also know as katas). These movements are specifically tailored for either Level 1, 2 or 3 KarateStrike classes. In KarateStrike Level 1, emphasis will be put on mastering the three basic karate kicks; the front kick (lift and push variations), the side kick and the back kick. You’ll probably do hundreds of these kicks until you’re ready for KarateStrike Level 2 which focuses on Round House Kicks, Crescent Kicks and touches on Flying Scissor Kicks. In Karate Strike Level 2, fight sequences will build up to a maximum of 32 distinct movements while Level 1 will never build up to more than 16. What is the Karate Sculpt Class Format? Karate Sculpt involves the same routines and KarateStrike but also includes Body Sculpting routines to challenge the participant in an “Interval Training” format. The class is first taught a series of punches, kicks and blocks and slowly taught to add them to a semi complex form. After each “lesson”, the class will use dumb bells and perform sculpting routines to level out the heart rate. KarateSculpt allows the Instructor to take the exercise intensity 10 to 20 percent higher at times. Dumb Bells are also used for controlled punching sequences for an incredible shoulder and RC workout. KarateStrike & Karate Sculpt Classes are available within Westchester & New York City. For a complimentary pass to experience a Karate Strike or Sculpt class, please e-mail us anytime. 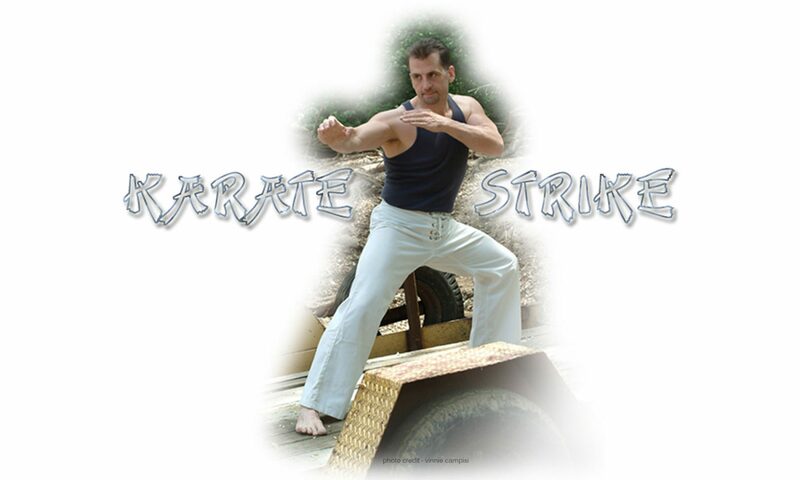 Wanna see KarateStrike at your fitness facility? Ask the owner of manager to have us train their group fitness instructors in this format.